The German Air Force is in the process of purchasing three Airbus A350 to replace its current governmental jets; two Airbus A340-300. German defence secretary Ursula von der Leyen has confirmed that the Air Force (Luftwaffe) has signed contracts for three new A350s. She stated this replacement is necessary following recent problems with the current A340s. This would be the first time a government operates an Airbus A350. According to a report by ‘Spiegel Online’, the German Air Force plans to purchase and receive the first of the new jets later this year, with an entry into service in early 2020. 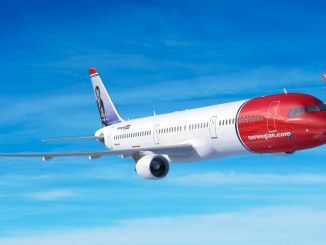 It would be delivered in a regular cabin configuration, instead of a VIP-cabin. 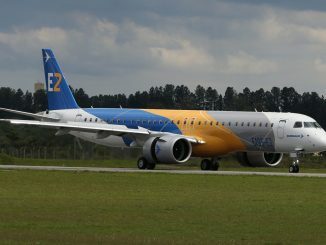 The aircraft will later be reconfigured and receive a cabin similar to the current governmental aircraft, including sleeping cabins, a conference room, as well as additional safety and communication systems. Two further A350s should follow in the coming years. A regular Airbus A350-900 has a list price of US $317.2 million (€276.9 million), VIP-configuration and advanced systems could easily add between $115 and $170 million to that price. The country’s current two governmental aircraft, two Airbus A340-300, which were bought from Lufthansa in 2009 and are almost twenty years old, faced a series of issues in recent months. In late-November 2018 one of the A340s, named “Konrad Adenauer” and registered as 16+01, was forced to make an emergency diversion to Cologne-Bonn airport, due to an issue with the electrical system. The aircraft was carrying German chancellor Angela Merkel from Berlin to the G20 summit in Argentina. Merkel was forced to take a scheduled passenger flight via Madrid to Buenos Aires and ended up arriving one day late at the summit. 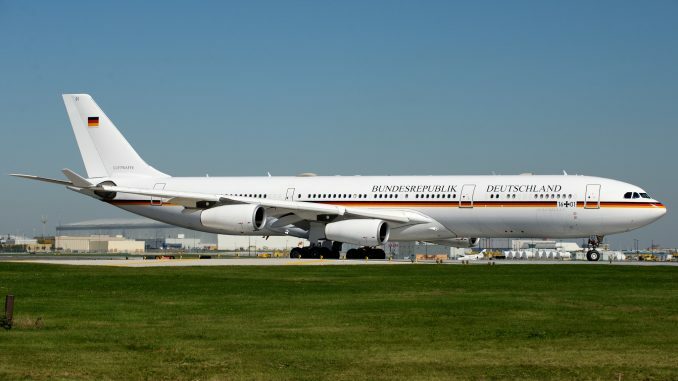 Last month, German president Frank Walter Steinmeier was stuck in Addis Ababa, Ethiopia, for several hours, because of a technical fault with the Airbus A340-300. This time, “Theodor Heuss”, registered as 16+02, was the affected aircraft.